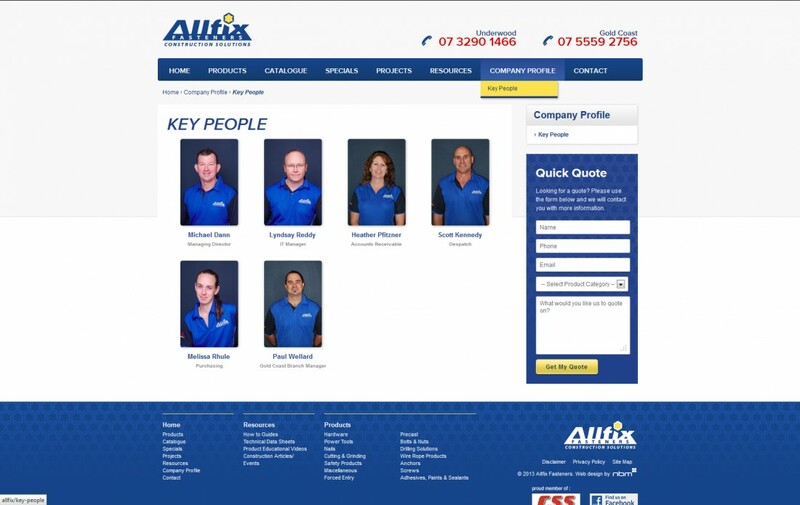 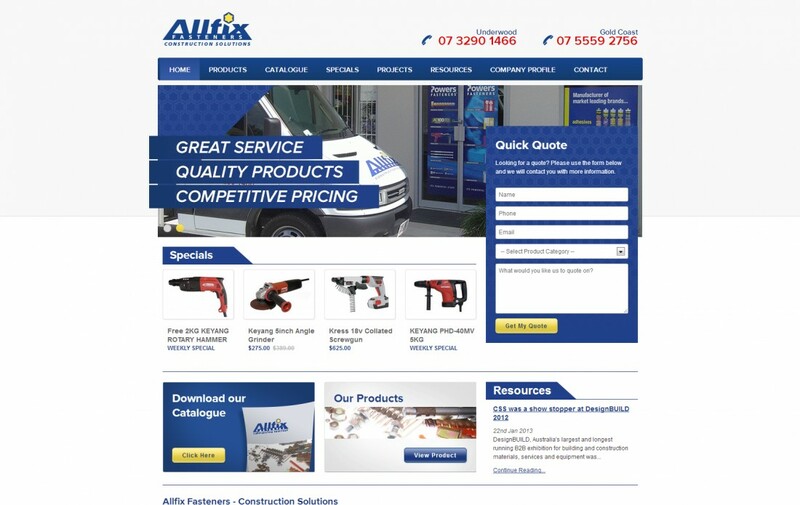 Quality products at competitive pricing is the Allfix motto and this responsive design was custom built to reflect this. 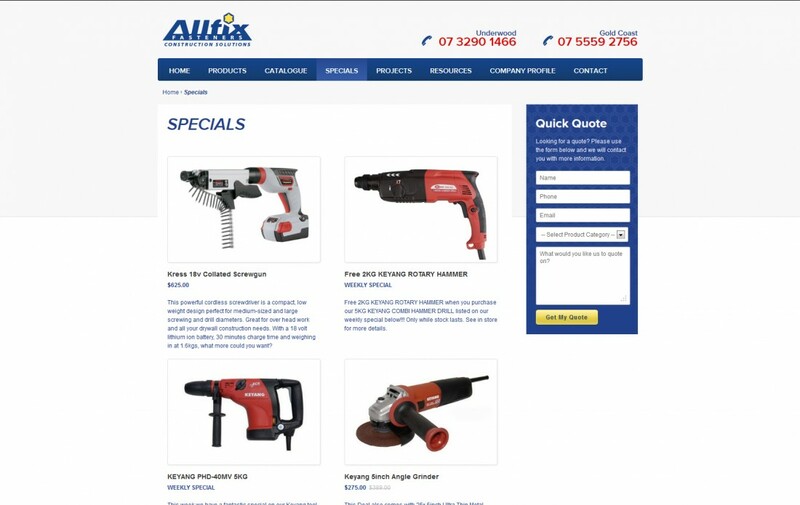 With an indepth, fully integrated ecommerce store featuring hundreds of products, as well as online catalogues, specials, information sheets and DIY advice, this site is a one stop shop for everything you could possibly want to know about fasteners. 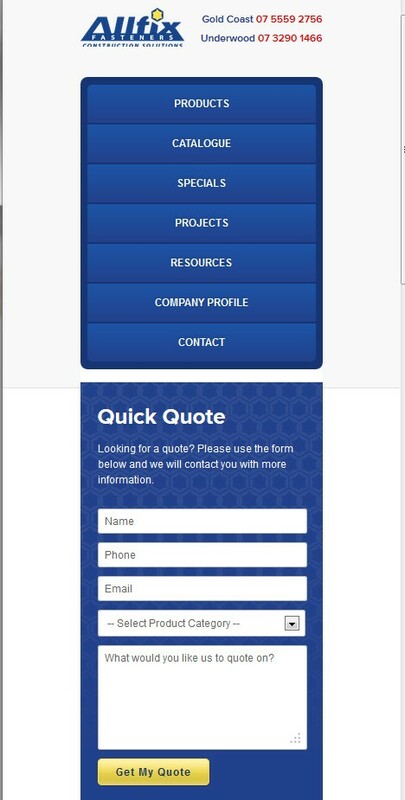 The simple online quoting system and download centre ensures anyone visiting this site can find what they need quickly.